This doesn't have to hit permanents instead of creatures; On the one hand, it's nice that you can cast it when your opponent has only one creature, but on the other hand, bouncing two lands before your opponent's fourth turn might be a real problem. Granted, they can choose to bounce only one, requiring you to recast Test Your Meddle every turn just to keep them off that one land, but if you've already got board superiority that might still be too much. Not sure. 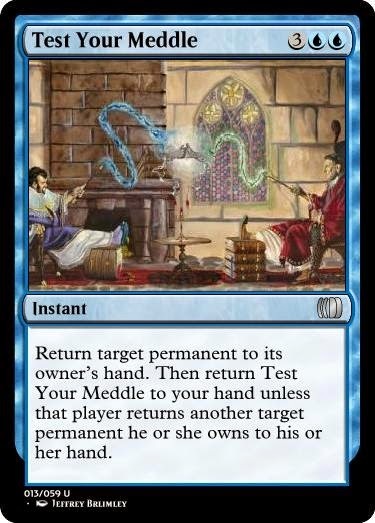 It also doesn't have to give the choice of which target to keep to your opponent when she chooses the buyback option; It could be "Return target creature to its owner's hand. Then return CARDNAME to your hand unless that player returns another target creature to his or her hand." That's stronger and could be afforded by raising the card's cost, but I stuck with the original idea since it should lead to less repetitive game play. "Return target creature to its owner's hand. 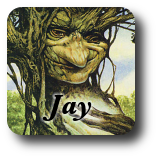 Then return CARDNAME to your hand unless that player returns another target creature to his or her hand." That version isn't actually that much 'stronger', since they get to pick ANY creature they want to return to their hand. I'd say it balances out. Something like "Return target creature to its owner's hand. Then return ~ to your hand unless that creature's controller returns another creature they control to its owners hand." "Either or both" might be crunching complexity points while preserving word count. 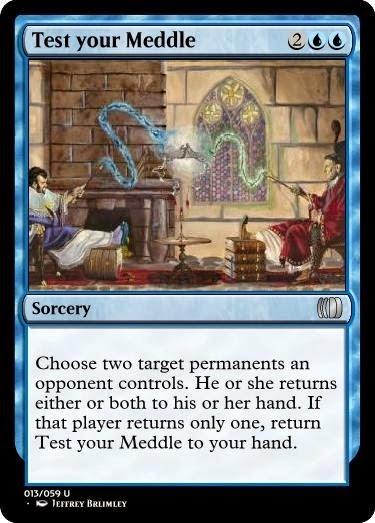 I love the idea, but I think this card could actually just be really unfun. Capsize is a real problem, and this can drastically reduce variance. 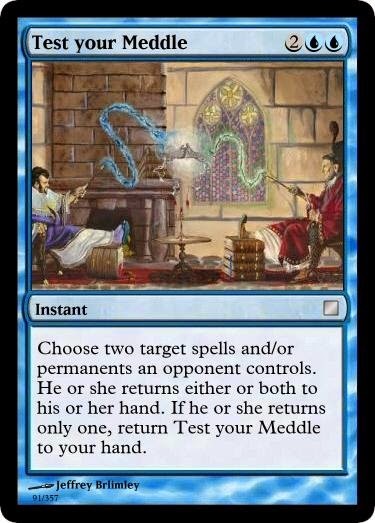 How about, instead of it coming back, it draws a card?